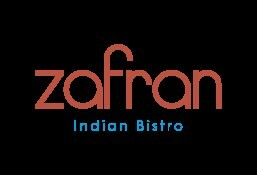 Zafran is currently closed for delivery and it will open at . Deep-Fried, Crumbed Yoghurt And Coriander Dumplings. Pan-Fried Potato Cakes On A Bed Of Chickpea Masala. Deep-Fried Pastry Filled With Potato And Green Peas. Wheat Wafers, Pomegranate, Sweet Yoghurt And Tamarind Chutney. Deep-Fried Mix Of Onion & Gram Flour Flavored With Curry Leaves & Fennel. White Fish Coated With Dried Coconut & Rawa, Deep-Fried & Served With Tomato Chilli Chutney. Yellow Lentil Soup, Flavored With Toasted Cumin & Coriander. Creamed Chicken & Mushroom Soup, Flavored With Garlic & Black Pepper. Rich Lamb Broth With Potatoes, Flavored With Whole Spices & Finished With Cream & Coriander. Crumbled Feta & Wild Rocket With A Balsamic Honey Dressing. Mixed Lettuce, Cherry Tomatoes & Cucumber With A Lemon & Sumac Dressing. Chopped Tomatoes, Cucumber & Onion With A Hint Of Lemon & Black Salt. Chicken Malai Tikka, Chicken Tikka, Bhatti Chicken & Rampuri Seekh Kebab. Tandoori Aloo, Takari Paneer Tikka & Tandoori Broccoli. Boneless Chicken Marinated In Yogurt, Cinnamon, Clove & Star Masala. Boneless Chicken, Marinated In Yogurt, Kashmiri Chilli & Tandoori Masala. Boneless Chicken Marinated In Cashew Nut, Cream & Cheese, Flavored With Green Cardaman. Bone In Chicken Marinated Overnight In Yogurt, Kashmiri Chilli & Garam Masala. Baby Lamb Chops Marinated In Chilli, Cumin & Garam Masala. Minced Lamb Seasoned With Coriander, Cumin & Garam Masala. King Prawns Marinated In Lemon, Turmeric & Tandoori Masala. Broccoli Marinated With Cashew Nut, Cream & Cheese. Potato Mash With Cashew Nut, Raisin, Ginger & Coriander, Stuffed In Potato Barrels. Murgh Anari Seekh, Bhatti Chicken, Chicken Malai Tikka, Raan Zafran, Fish Mustard Tikka & Ajwaini Jinghe. Chicken Minced Kebab Flavored With Pomegranate, Onion, Coriander, Turmeric & Ginger. Braised Leg Of Baby Lamb Flavored With Masalas & Finished In The Tandoor. Prawns Marinated In Tandoori Masala Flavored With Carom Seeds. A Mix Of Bell Pepper, Onion, Apple & Pineapple Marinated With Pickle, Labneh & Tandoori Masala. Grilled Corn & Spinach Patties Flavored With Ginger, Green Chilli & Coriander. Mixed Vegetables Cooked With Onion, Tomatoes & Spices. Sauteed Cauliflower & Green Peas Cooked In A Tomato & Onion Masala. Stir-Fried Okra With Onion, Tomatoes, Turmeric, Amchur & Coriander. Sauteed Potato Cooked In A Tangy Masala, Tempered With Dried Corinader, Cumin, Dried Red Chilli & Curry Leaves. Potatoes, Bell Pepper & Plum Dumplings Cooked In A Tomato & Cashew Nut Gravy. Cottage Cheese Cooked In A Spinach Gravy, Tempered With Cumin & Garlic. Cottage Cheese Cooked In A Makhani Gravy. Cottage Cheese Cooked In Tangy Tomato Onion Masala With Crushed Coriander Seeds. Stewed Yellow Lentils Tempered With Onion, Tomato, Cumin & Fresh Coriander. Bengali Style Prawn Curry With Mustard & Coconut. Prawns Cooked In Tomato & Onion Gravy, Flavoured With Dried Fenugreek Leaves. Boneless Lamb Cooked In An Onion, Tomato & Kashmiri Chilli Gravy, Flavored With Aromatic Spices. Classic Boneless Lamb Curry Cooked With Whole Spices, Onion & Mustard Oil. Lamb Mince Cooked With Onion, Tomatoes, Coriander, Chilli, Turmeric & Flavored With Raw Mango. Boneless Chicken Cooked With Onion, Crushed Fennel, Black Pepper & Tempered With Curry Leaves. Chicken Tikka Cooked In A Tomato & Cashew Nut Gravy, Flavored With Dried Fenugreek Leaves. Chicken Tikka Cooked In Tomato & Onion Gravy, Flavored With Dried Fenugreek Leaves. Boneless Chicken Cooke In A Yogurt, Red Chilli & Turmeric Gravy, Flavored With Garam Masala. Boneless Chicken Cooked With Onion, Whole Spices & Yoghurt. Saffron Basmati Rice With Caramelized Onion & Spices. Sauteed Vegetables With Saffron Basmati Rice. Basmati Rice With Mushroom & Coriander. Boneless Chicken Cooked In A Saffron Basmati Rice, Flavored With Mace & Cardamom. Boneless Lamb Cooked In Saffron Basmati Rice, Flavored With Black Pepper, Mace & Cardamom. Seasonal Vegetables Cooked In Saffron Basmati Rice. Bread Made From Refined Flour. Made From Whole Wheat Flour. Whole Wheat Layered Bread With Mint. Stuffed Bread, Made From Refined Flour. Deep Fried Cottage Cheese Dumplings In Sugar Syrup. Cottage Cheese Dumplings With Pistachio In Saffron Flavored Milk. Carrots Cooked In Sweetened Milk. Selection Of Desserts: Flourless Chocolate Cake, Gajar Halwa, Rasmalai, Phirni, Fresh Fruits. Dark Chocolate Cake Made With Egg & Sugar Served With Caramel Crumble. Traditional Rice Pudding Made With Milk, Saffron, Sugar & Pistachio.